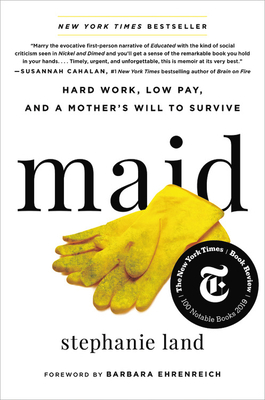 Stephanie Land's MAID tells of the author's incredible journey through poverty and single motherhood, eventually fulfilling her dream of moving to Missoula, MT, and becoming a full-time writer. This is what it's like living paycheck-to-paycheck -- a reality all too common for many Americans. Everyone should read this book!! !